We had an enjoyable morning marking the completion of the 500th house in our Framework with Loreburn Housing Association. We are proud of this longstanding relationship which dates back to the first project in 2004. 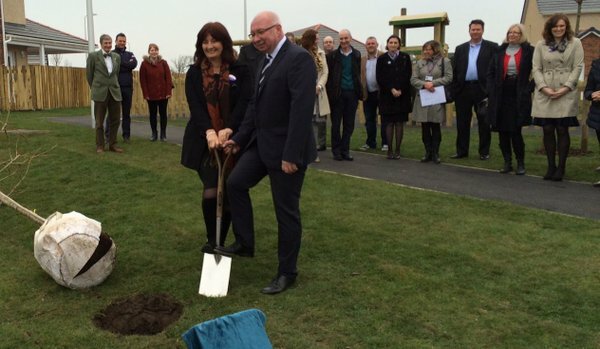 Dougie is pictured with LHA Chief Executive Lorraine Usher at the ceremony, which took place at the latest development in Annan.